Our Feasts are an opportunity for everyone to experience the hospitality of our working family farm. Our barns provide the backdrop for a warm welcome, a seasonal tipple and something tasty from the grills. You are welcome to take a stroll around the farm and gardens while local folk musicians and wood smoke fill the courtyard air. After an hour mingling and exploring the surroundings, you will take your seat for the feast. Our chefs embrace these events as a chance to show what they can do with the harvest from our fields, kitchen garden, hedgerows and larder. 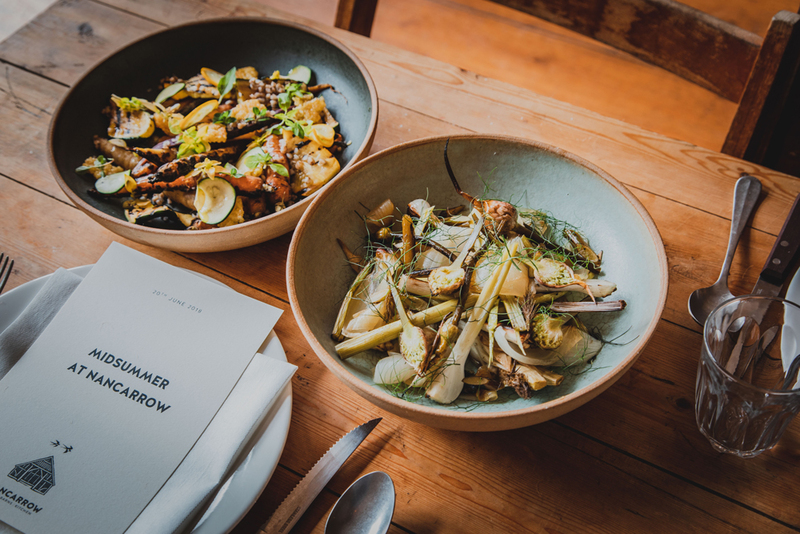 Each feast is unique, but expect a menu inspired by farmhouse cookery and rural communities from all over the world. The farm is an atmospheric venue in all seasons. In the autumn and winter, guests might arrive to the sights and smells of aged Nancarrow beef smouldering on our courtyard fire pit, the wood burner gently warming the oak barn, and candlelight flickering along the length of communal tables. In the spring and summer, furniture is hauled outside into the courtyard, where garden flowers adorn the tables alongside colourful dishes of fresh and flavoursome food. After throwing open our gates for a day of family fun and activities, we’ll be transforming our Oak Barn in readiness for our Spring Feast. 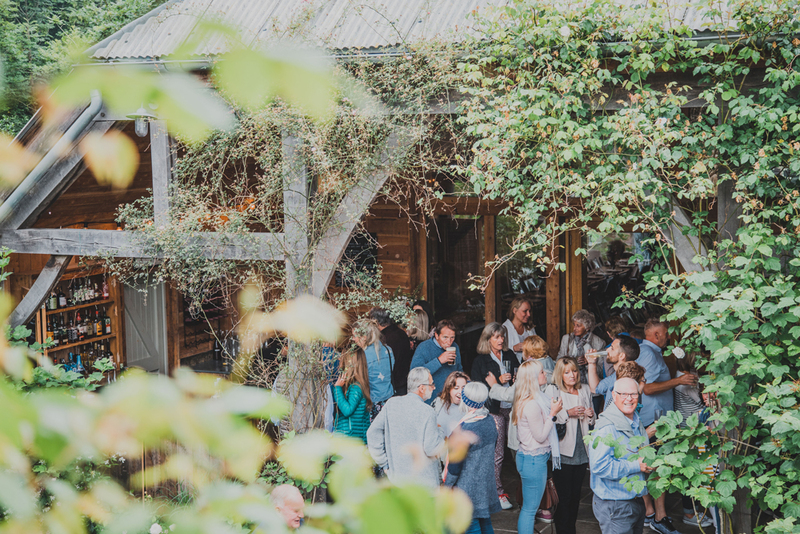 Guests can look forward to a welcome tipple with canapes in the courtyard before flocking to the Oak Barn for a three-course dinner cooked over the woodfire by resident and guest chefs. The menu will include Nancarrow Beef Rump and some wild delights from around the farm. – Although we will be eating inside, please bring appropriate clothing as welcome drinks/canapés may be served outside. – Rather like a concert or a theatre ticket, Feast tickets are non refundable & we are not able to offer an exchange. If you are having issues making your booking online & are using a smartphone or tablet, please try using a PC or laptop as this may resolve the problem. Please note, we do not issue physical tickets. – If you have a Nancarrow Gift voucher, please enter your code at checkout & proceed with booking. Only one code can be applied so if you have two vouchers/codes, you will need to make separate bookings. – We are more than happy to cater for anyone with special dietary requirements. Please include and requirements in the ‘additional information’ section when booking. – Groups bookings of up to 12 are welcome. – Once all bookings have been received we will create a seating plan. If you would like to be grouped with someone not included in this booking please let us now via the ‘additional information’ when making your booking or via email at least 3 days prior to the feast. 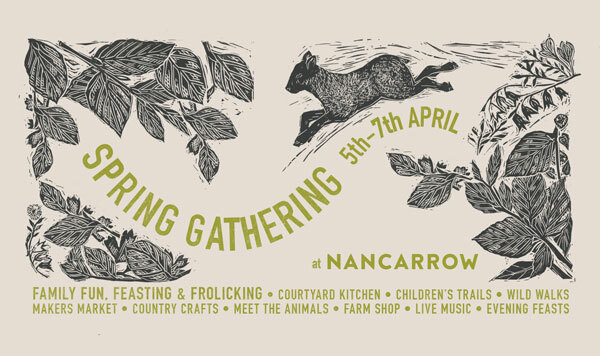 – Includes 2 feast tickets to the above date (value £80) and free day entry for the Spring Gathering on the following day. Come and join us at our Spring Gathering Feast! 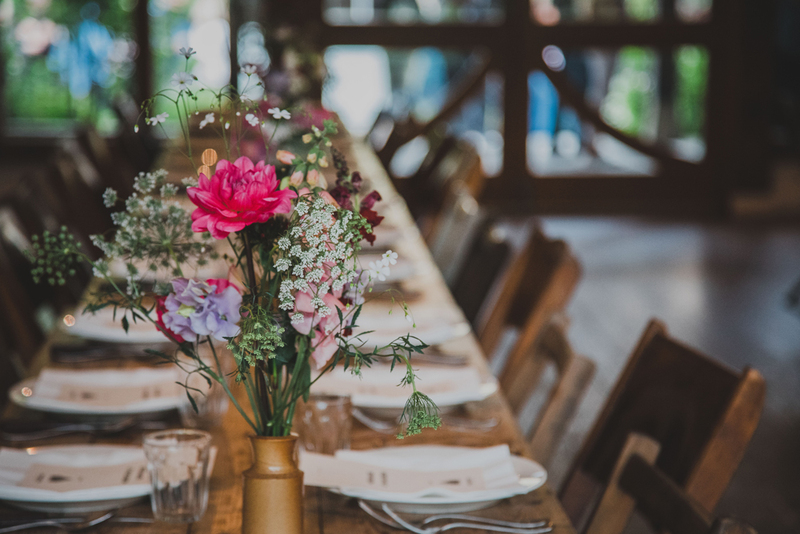 You will be welcomed with canapés and drinks in the courtyard before sitting down for a three-course feast in the Oak Barn. After a starter of Planked Fish you will enjoy some of Nancarrow’s home-reared Tamworth Pork along with the first of the season’s Cornish Earlies with wild garlic butter. The full menu will be finalised soon, so watch this space. Book your tickets below to join us on May 8th for our Feast! 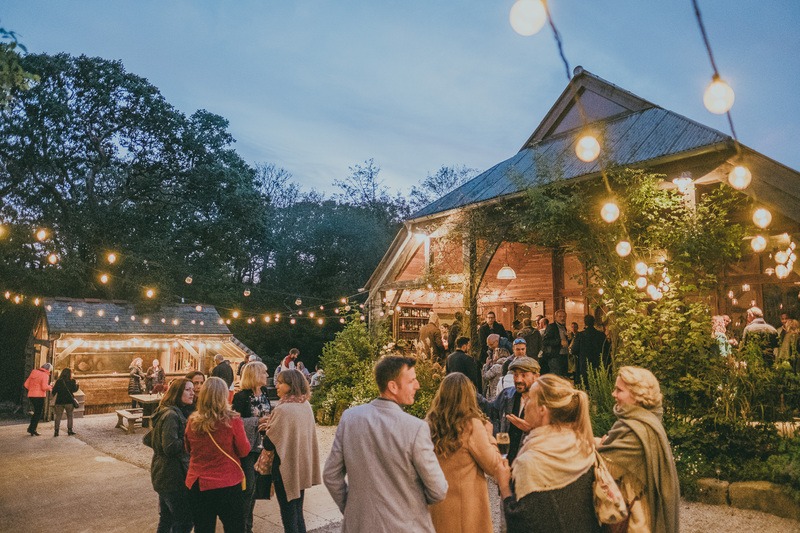 You will be welcomed with canapés and drinks in the courtyard before sitting down for a three-course feast in the Oak Barn. 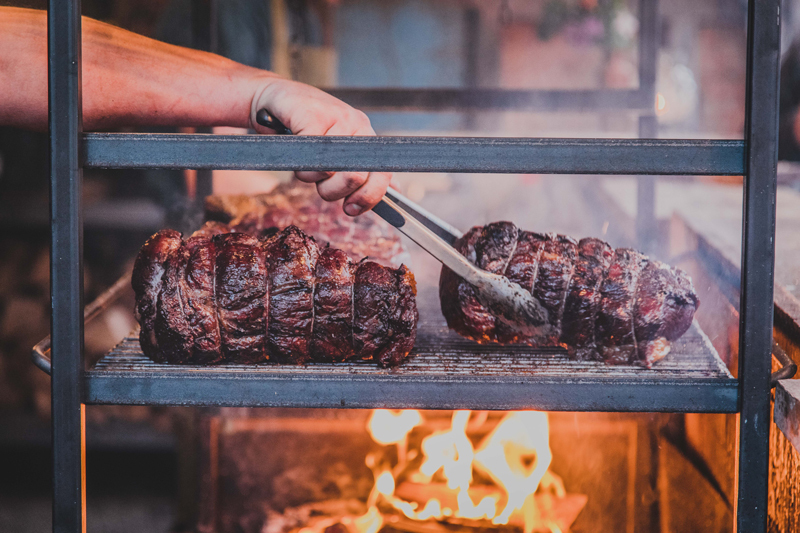 The full menu hasn’t been finalised yet (watch this space) but we can tell you that we’ll be enjoying some delicious slow-cooked Nancarrow beef! Book your tickets below to join us on June 12th for our Feast! You will be welcomed with canapés and drinks in the courtyard before sitting down for a three-course feast in the Oak Barn. The full menu has yet to be finalised, but we can tell you that we’ll be enjoying some delicious Prime Beef from Nancarrow! Book your tickets below to join us on June 26th for our Feast! You will be welcomed with canapés and drinks in the courtyard before sitting down for a three-course feast in the Oak Barn. The full menu will be released a little nearer the time, but we can tell you that we’ll be looking forward to some new season lamb from Nancarrow!